Want to boost your community’s health, strengthen its bond, and gain an economic advantage? Build a great recreation centre! The most obvious advantage of a recreation centre is the health benefit derived from physical activity. Access to a well designed, accessible and flexible-use centre allows citizens of all physical abilities to achieve personal successes and have fun, while sharing in the commitment to get fit. From stress reduction to weight loss, fitness programs that offer both high-intensity and low-intensity activities are an inclusive way to encourage overall health and wellness within a community. The adage that families that play together stay together highlights the benefit of play in social integration and well-being. It is becoming increasingly difficult in our lives to balance the critical role of recreation within the context of work, home and digital connectivity. Within a community, opportunities for recreation and play come from spaces for leisure and recreation programs, venues for amateur sport, facilities for personal and group fitness, and secure spaces for safe programs for children and youth. Recreation centres that offer these spaces play a vital role in allowing communities to tap into the social, physical and economic benefits that recreation offers. When it builds a great recreation centre, a community is building a crèche for tomorrow’s leaders. Great recreation centres are fully accessible. They also provide spaces with connections to nature and daylight. Their amenities are well planned, sized to be flexible and offer excellence player and spectator experiences. They are community hubs where individuals and families of all abilities, cultures, religions, orientations and family fabrics congregate to play together. 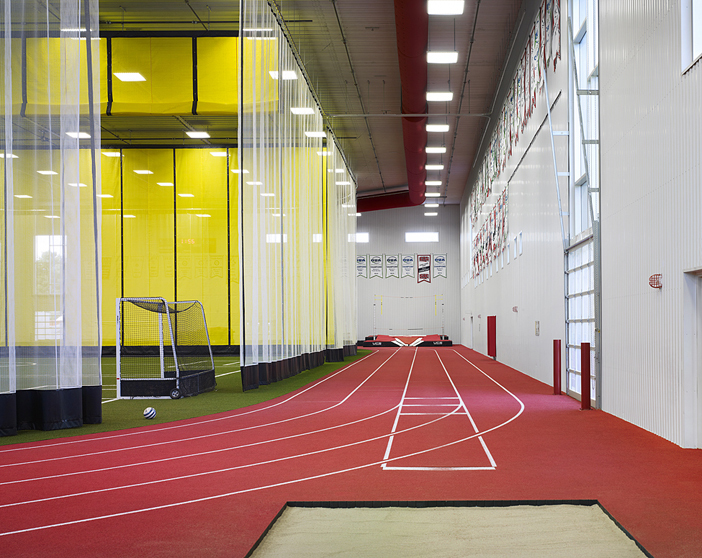 Facilities that foster community programs build leadership skills. When it builds a great recreation centre, a community is building a crèche for tomorrow’s leaders. Through inclusion and shared successes, sports venues harness the unifying power of play, which can dissolve perceived differences based on gender, physical ability, sexual orientation, religion and culture. Facilities that foster community programs build leadership skills. Team- and group-based activities develop participation and social cohesion. They also build skills for community dialogue. Varieties of programs and space functions together increase interaction, provide greater flexibility and offer convenience to families with members having differing interests. By experiencing these buildings together – as players, participants or spectators – citizens gain an understanding of their neighbourhood and its rich composition. Sharing a recreation centre encourages a community to foster strong social bonds and contributes to a sense of neighbourhood and togetherness. These all promote happiness and a better quality of life. A great recreation building is an investment that will yield long-term community benefits that include a reduction in health care demands, increased property values and enhanced appeal for business investors. Vibrant communities often witness an influx of good jobs and individuals who seek a dynamic, diverse environment in which to establish a future. This promotes community growth and ensures sustainable, forward-thinking initiatives for the immediate area and the surrounding municipalities – a financial win-win. A great recreation facility is an important tool in designing a community that supports active living, increases the walkability of neighbourhoods and contributes to increased demand for its location. Our talented team of designers and out-of-the-box thinkers will help you achieve greatness in your next new or retrofit recreation centre project. Check out Parkin’s portfolio of recreation centres and sports complexes at www.parkin.ca.